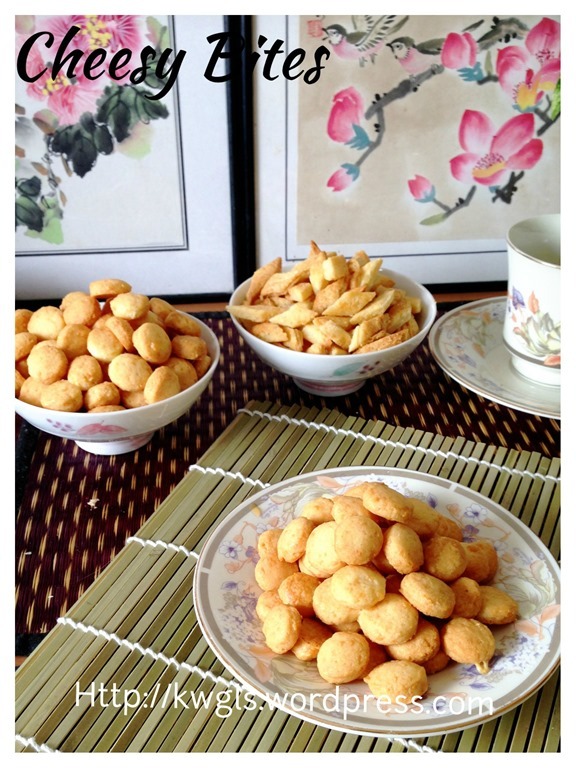 After so many sweet biscuits and mooncakes, my body told me that I needed some savoury snacks…. 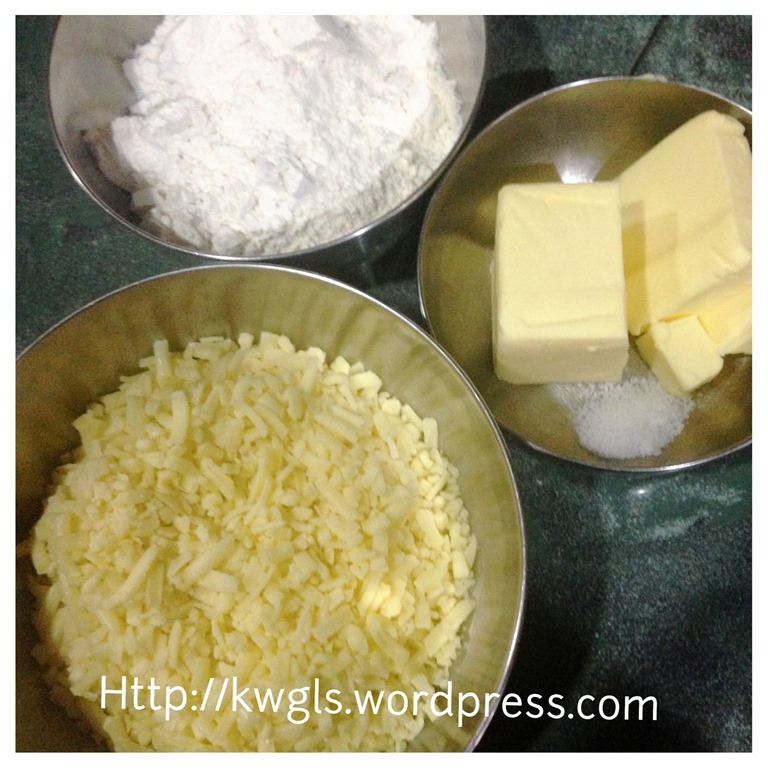 This is a 3 main ingredients simple cheesy biscuits. 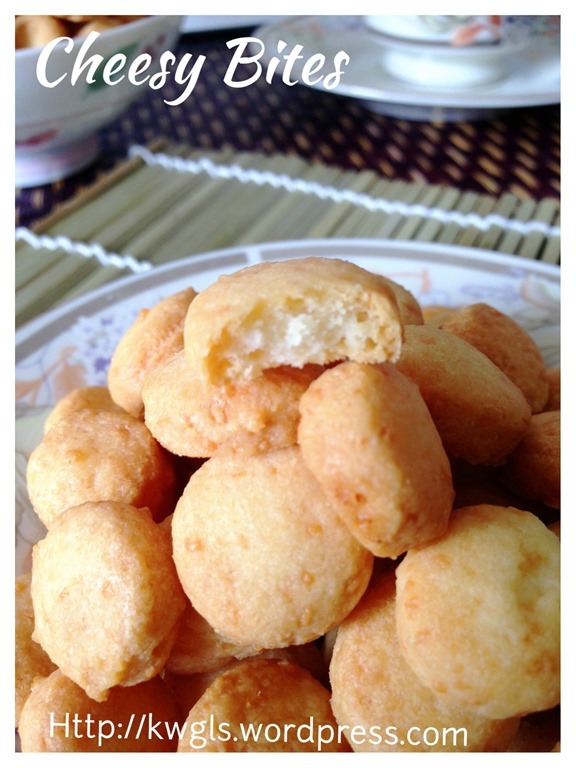 Though ingredients are simple but taste and texture is awesome. 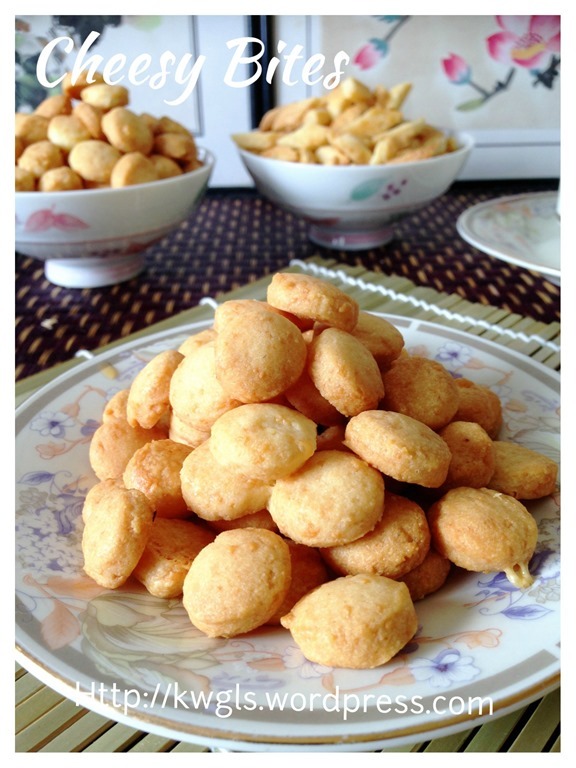 It is crispy, slightly salty and with mouthful of cheesy fragrance. 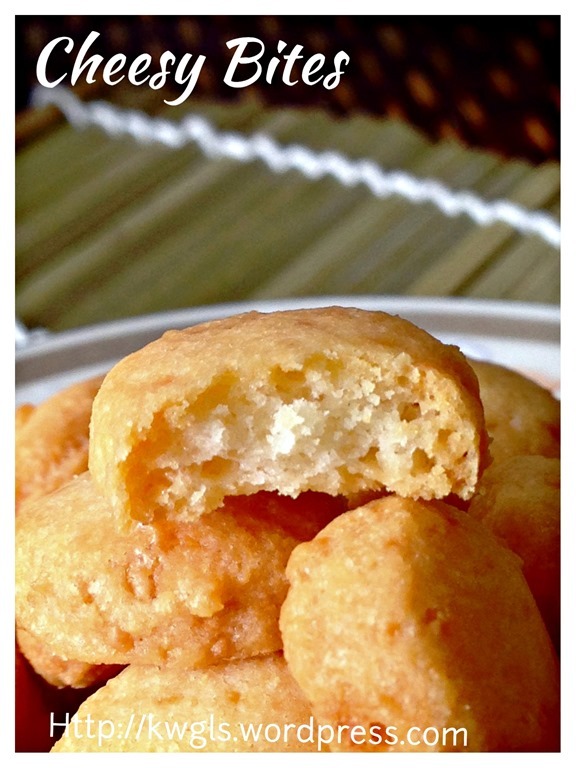 I searched for cheesy biscuits and I found the recipe.. 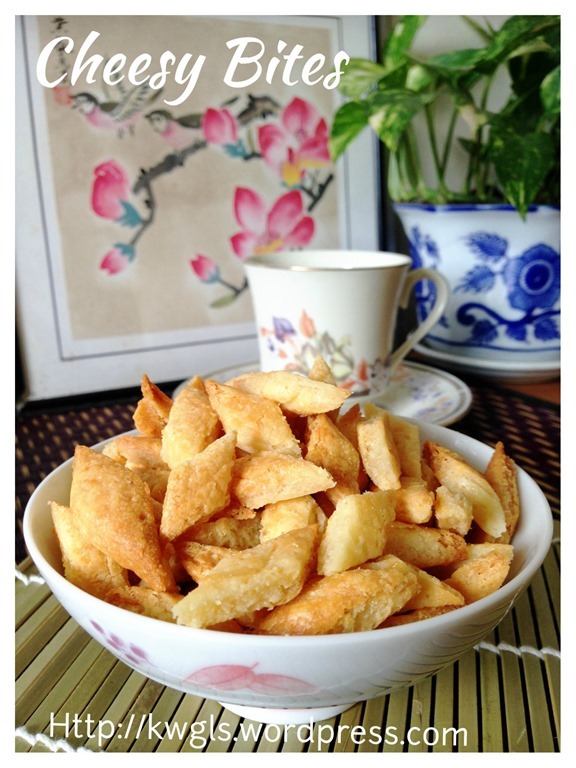 Looking at the simple ingredients, I have decided to give it a go..
Hmmm, really nothing much to write about this simple biscuits… It is tasty and preparation is not difficult. Kids can help out in the preparation. 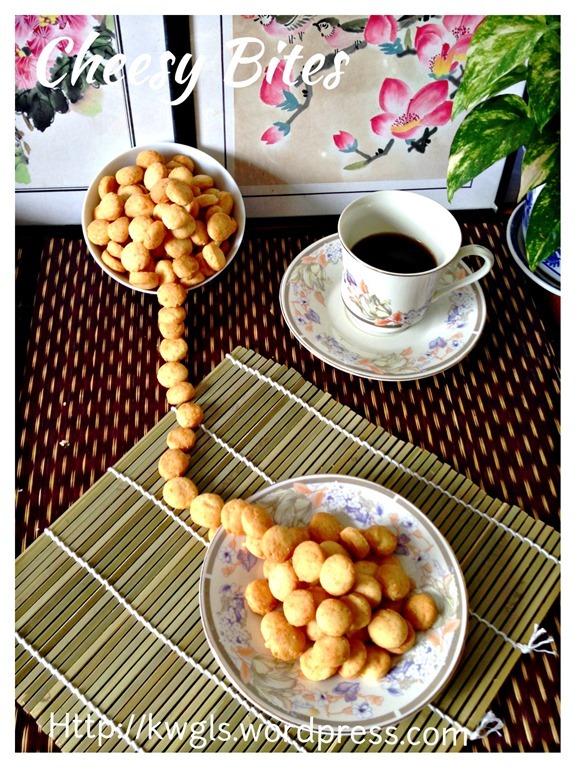 Isn’t take wonderful? 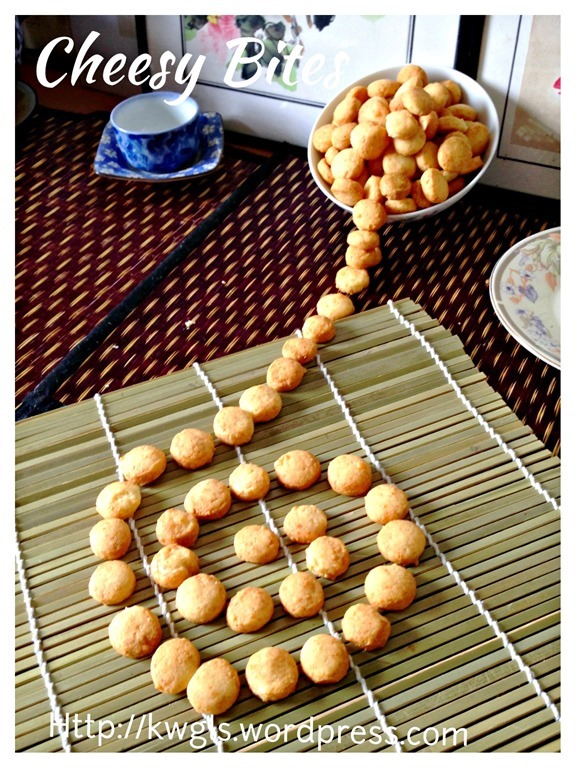 Shape is for your reference, you can get use any cookies cutter you like, star, leaves or just use a pizza cutter to cut into regular bite sizes… How about get hold of a goldfish cutter and make it into the famous goldfish cheesy snacks? In a food processor, place flour and butter and blend until it forms some crumbs. Add in the cheddar cheese and blend until well combined . Gradually add in cold water, blend again until it form a pliable dough. If it is overly sticky, add in flour tablespoon by tablespoon. 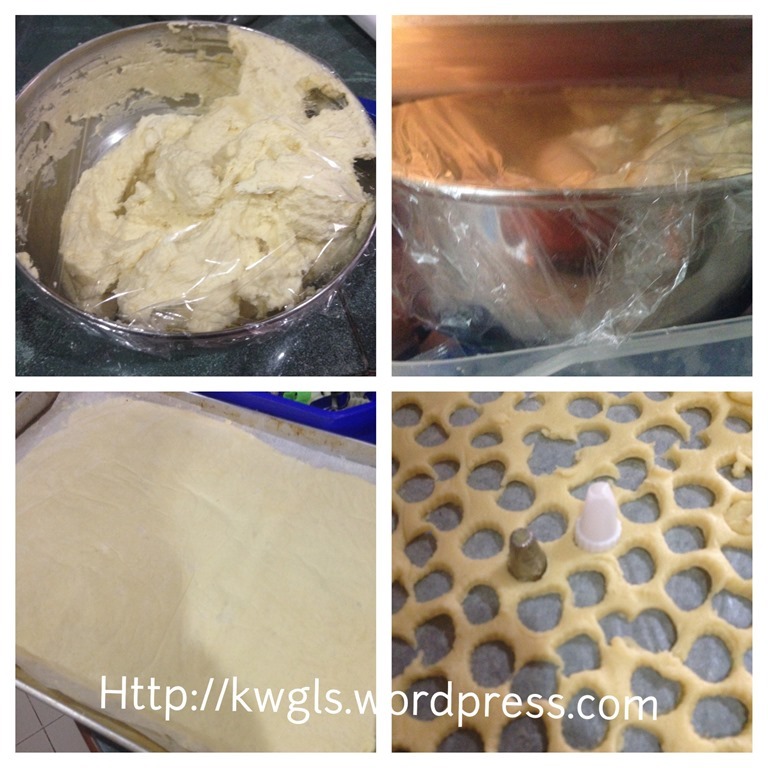 If you do not have a food processor, you can mix all the ingredients manually. .
As the dough can be rather sticky, if you can’t handle the soft dough chill the dough for about 15-30 minutes until it is firmer. Put the dough in between 2 pieces of baking paper, using a rolling pin to roll the dough flat with about 3 mm thickness. 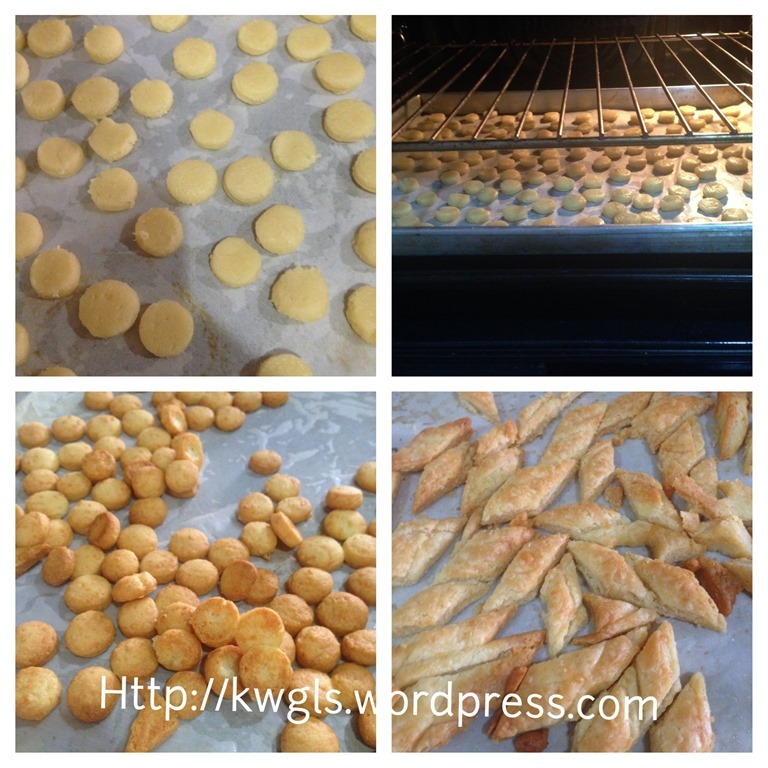 Use a cutter of your choice and cut the dough. Transfer the cut dough into a baking tray and bake in the pre-heated oven of 160 degree Celsius for 10-12 minutes or until it turns light golden brown. The browning will continues in the baking tray after taking out from the oven. Note that timing is for your reference and it very much depends on the size of the your cutter. The larger the cut dough, the longer it will need to be baked. In general, the thinner the dough, the more crispy it will be. Once taken out from the oven, let it rest in the baking tray for 10 minutes, cooled completely before store in an air tight container. 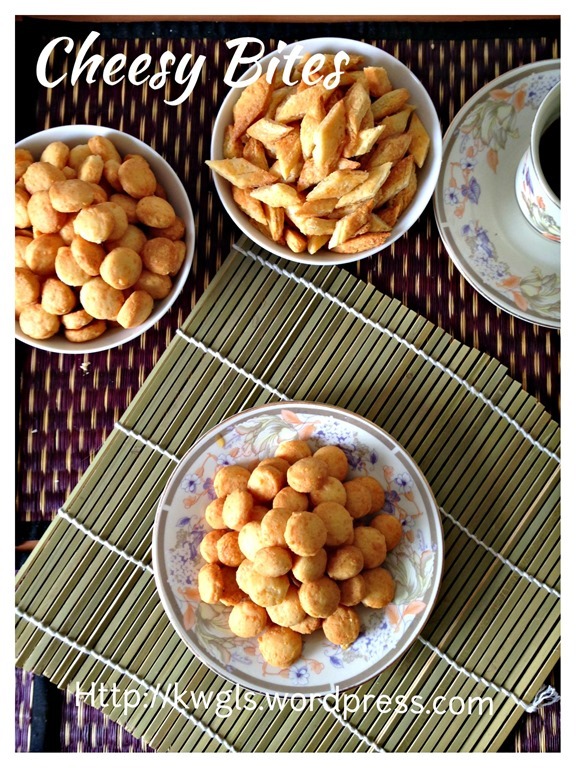 Are you looking for a cheesy snack while watching TV? I am sure this will not disappoint you. Do give it a try and let me know the outcome. 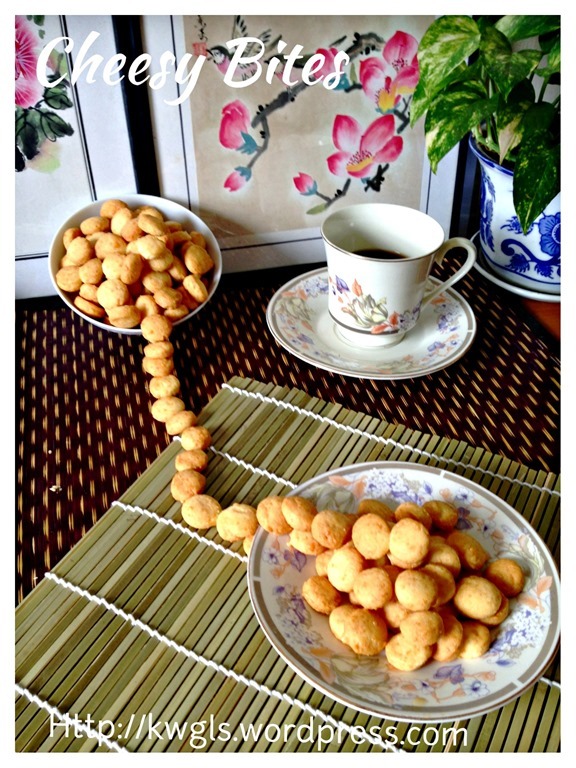 This entry was posted in Cakes and cookies, Food Preparation Series, Snacks and tagged 8, Cheesy Biscuit Bites, cheesy bites, 芝士小饼干, gold fish biscuits, goldfish biscuits, GUAI SHU SHU, Guaishushu, kenneth goh, postaday. Bookmark the permalink. I am a bit confused. There’s no sugar in your listing of ingredients, however, you mentioned about adding in sugar in the 2nd preparation step? And can I use a mixer instead of food processor? 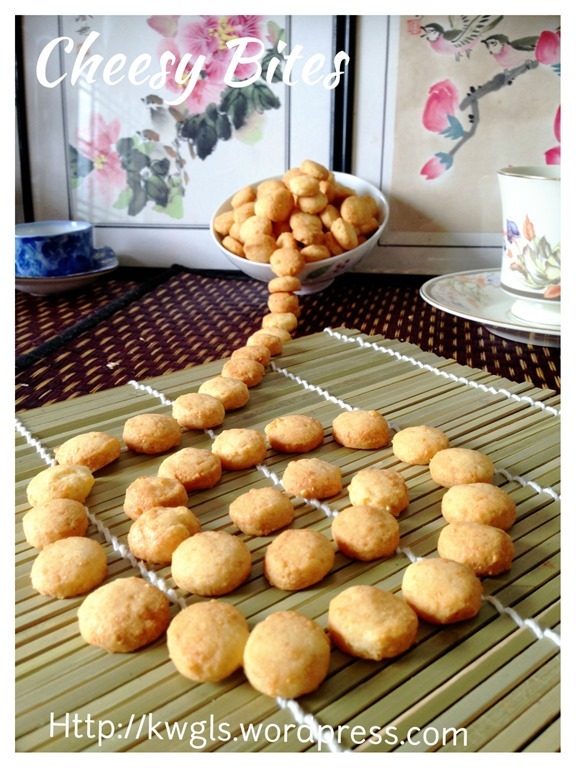 Love this cheesy biscuits. My toddler loves it too. 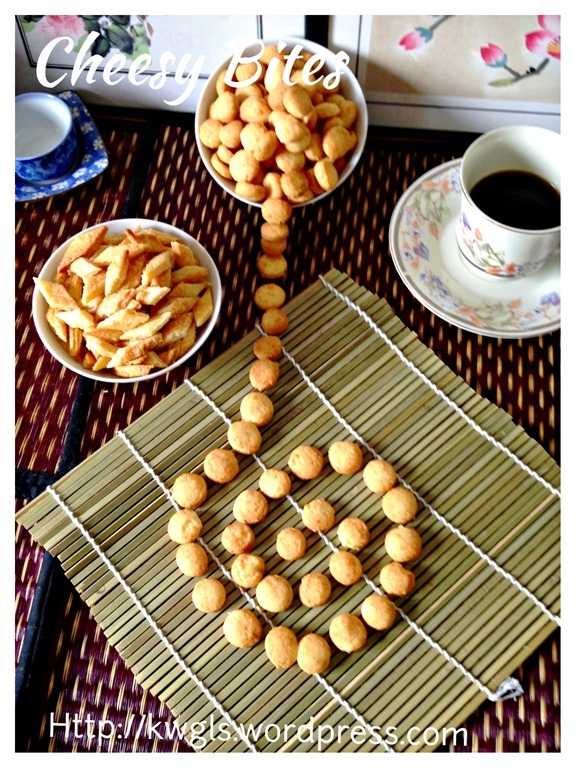 Glad to find something savoury and healthy for her than all the sweet cakes and cookies. Hi . I tried this recipe . However , it is totally opposite of crispy . I followed the recipe accordingly except the chilling part . I chilled the dough overnight and do the rest the next day . Would this have alter the outcome ? Possibly your oven is not hot enough and you have to bake longer . So far never heard of any readers who said so . Noted with thanks on your adv. Will try again nx time. 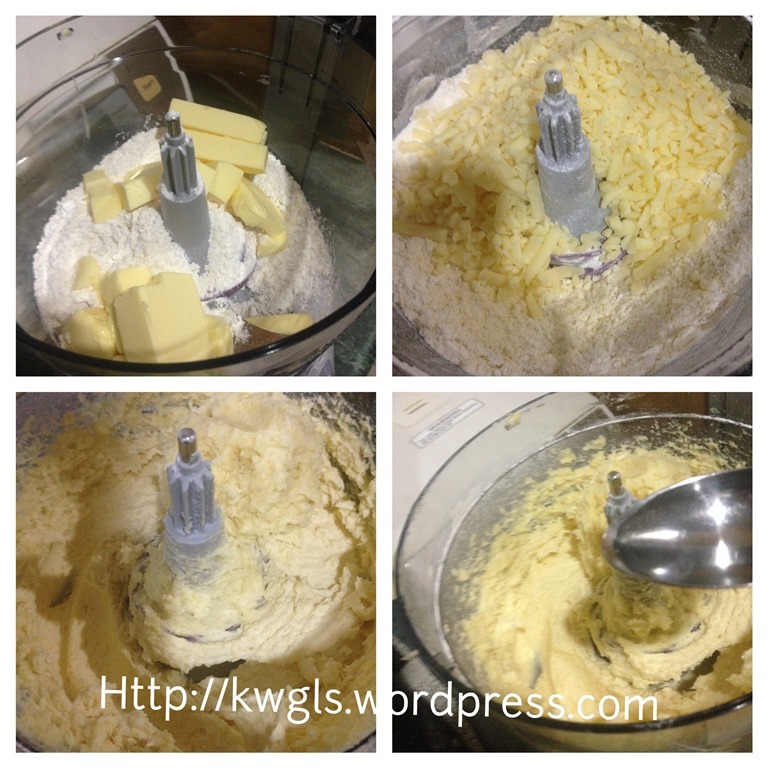 Hi Kenneth, can i use mixer instead of food processor? 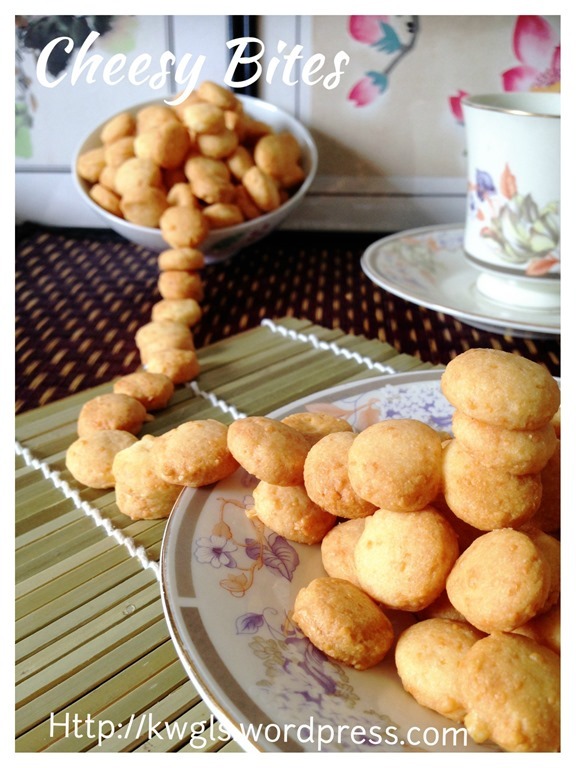 This biscuit can we feel the cheese bite or only the cheese flavour? and can i add more cheese to the receipe?